This weekend I visited my hometown, Vernon, British Columbia, and stayed with the family of my travel companion and best friend, Jennifer. The morning after we arrived, Jen’s mom (and my former volleyball coach), Barb, sourced a muffin mix from Vernon’s Nature’s Fare in efforts to accommodate Jen’s gluten intolerance. 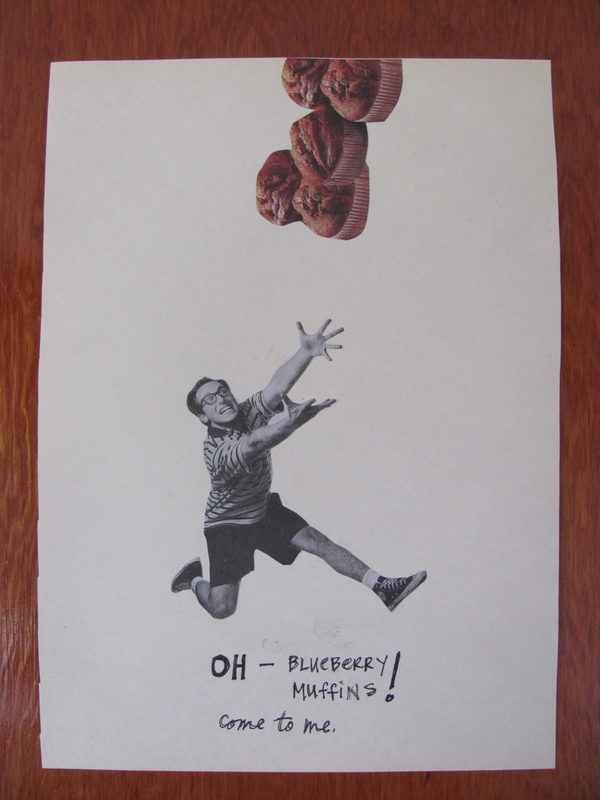 Barb also made a batch of gluten-full lemon blueberry muffins — the same recipe I stole from her after I sampled their brilliance one teenage day before our daily walk to school. 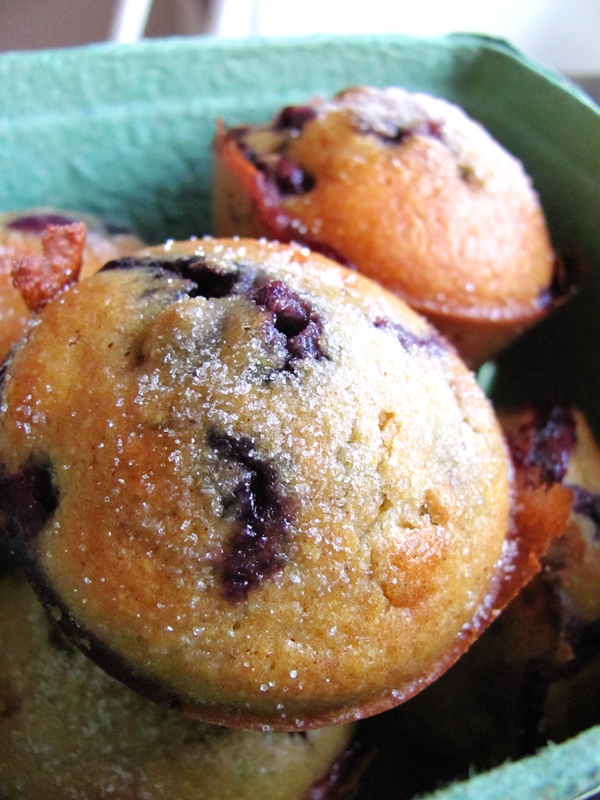 Barb's gluten-free lemon blueberry muffins. Dunked in butter and sugar! 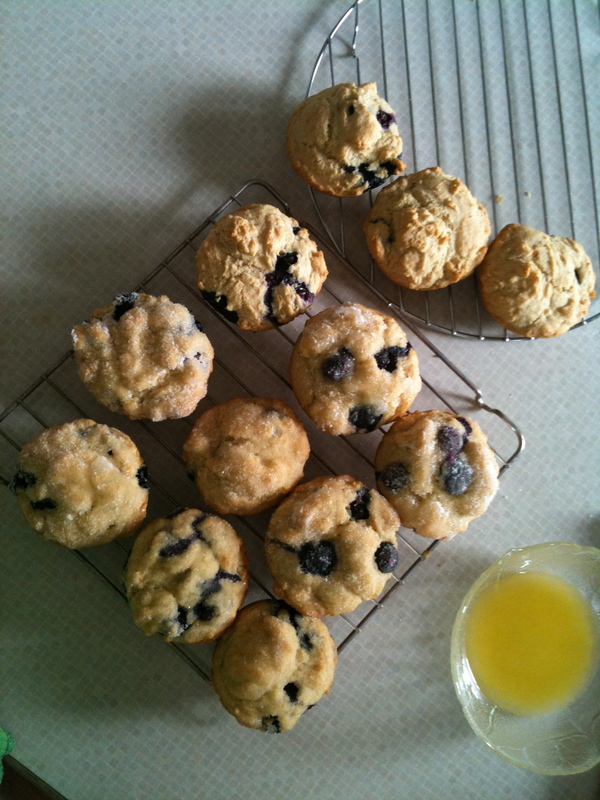 Though I drool over the wheat flour version, I have to say, Jen’s muffins appealed to me more. The texture of the brown rice–arrowroot–tapioca flour combo was delicious when smothered with butter. I apologized to Jen for gobbling a handful of her batch. But they were just so amazing! For this Martha Stewart recipe, I substituted the ‘expired’ milk in my fridge for the called buttermilk. I also used regular granulated sugar instead of the coarse ‘sanding’ sugar. I would recommend baking them a little less or perhaps turn the oven down a bit to 375 instead of 400. However, any smidgen of dryness can be countered with a good dollop of butter! Preheat oven to 400 degrees, with rack in center. Lightly coat a standard muffin tin with cooking spray. In a medium bowl, whisk together flour, cornmeal, granulated sugar, baking powder, baking soda, cinnamon, salt, and orange zest, if using. In a small bowl, whisk together buttermilk, egg yolks, and butter. Stir buttermilk mixture into flour mixture until just blended. In a mixing bowl, whisk the egg whites until just stiff. Gently fold whites and blueberries into the batter until just combined. 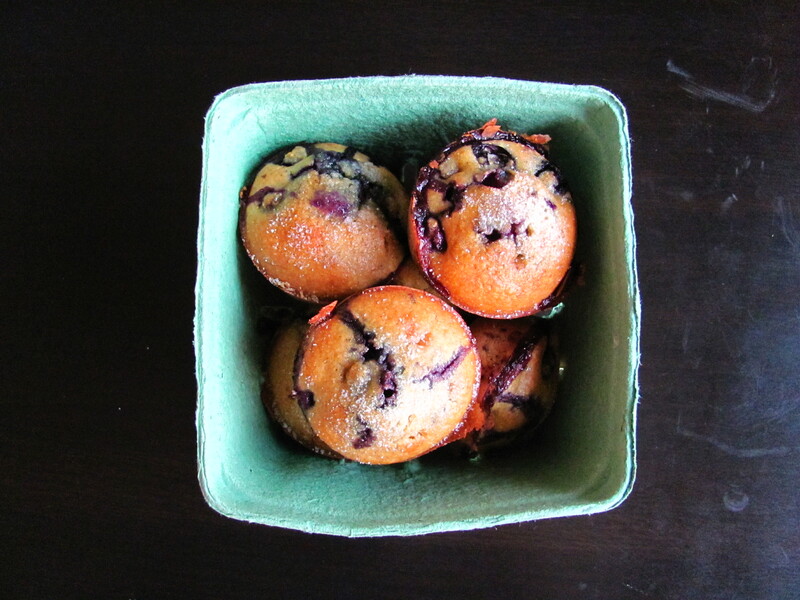 Spoon batter into prepared muffin tin, filling each cup three-quarters full. Bake 12 minutes. Remove from oven; gently brush tops with buttermilk, and sprinkle with sanding sugar, if desired. Continue baking until tops are golden and a cake tester inserted in a muffin center comes out clean, 6 to 8 minutes more. Let muffins cool slightly, about 10 minutes, before turning out of tin.